I am Italian and I love to cook. Thanksgiving is my favorite time of the year. My kids are now grown which makes Thanksgiving even more special. I like to cook all the traditional Thanksgiving dishes with my own twist. 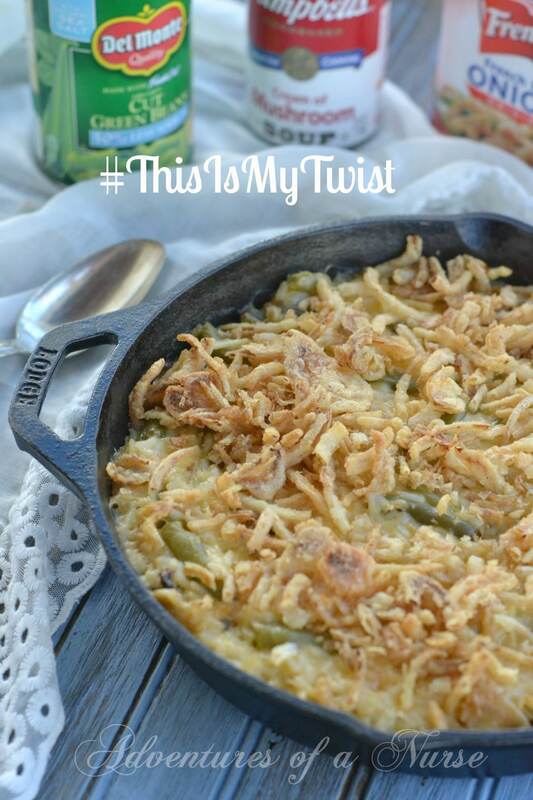 #ThisismyTwist for green bean casserole. I make a cheesy risotto with green beans and french onions. My family loves this dish and I know yours will also. 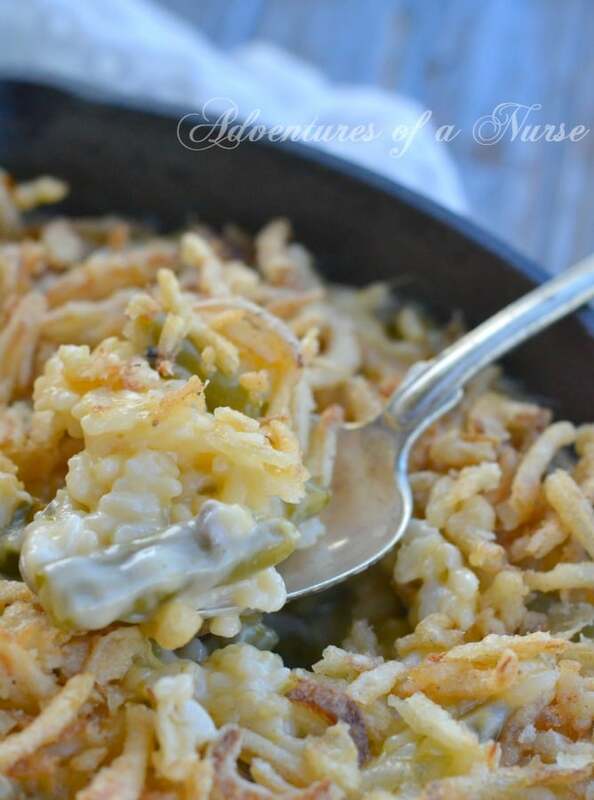 For this recipe you will need: 2 cans Del Monte® Green Beans, 1 can of Campbell’s®Condensed Cream of Mushroom Soup, 1 cups of French’s® Crispy Fried Onions, 1 1/2 cups of Arborio rice, 1/2 cup of white cooking wine, 4 cups of chicken stock, 1 cup cheddar cheese, and 1 tbs of butter. Preheat oven to 350. Melt butter over a medium heat add rice and cook for about 2 minutes. Add white wine stir consistently and let cook until absorbed. Add 1/2 cup of chicken stock, stir consistently and let cook until absorbed. Repeat process, 1/2 cup at a time, until all broth has been absorbed by the rice. Stir in cheddar cheese and stir until melted. Stir in Del Monte® Green Beans and Campbell’s®Condensed Cream of Mushroom Soup until well combine. Place mixture in a cast iron skillet or baking dish. 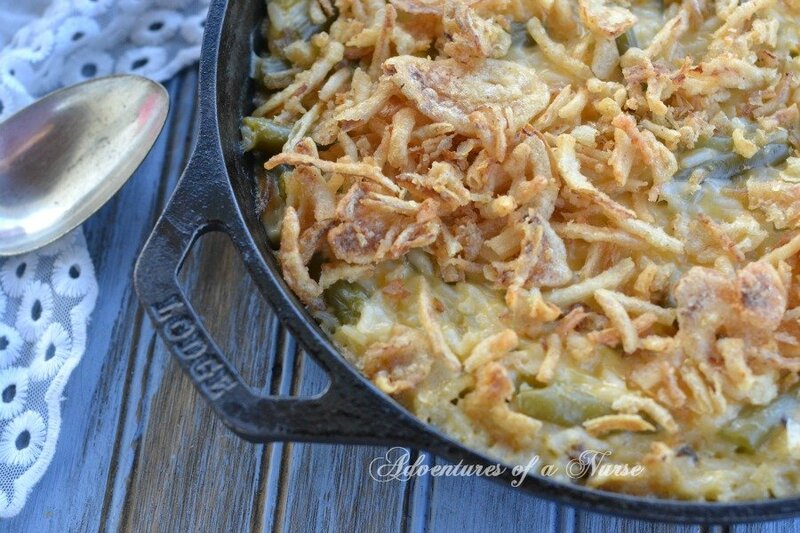 Top with French’s® Crispy Fried Onions. Bake in the oven for 30 minutes or until the top is brown. Serve and enjoy. If you would like to see how I serve my casserole see #ThisIsMyTwist on how I serve my dish. Next time you’re in Walmart, go look at the screens by the green bean casserole display at the end of the aisle. Walmart is picking the best of the ideas giving people like you and me to show right there in the store! If you see mine, let me know with a post or a tweet! Make sure to go to thisismytwist.com to see everyone’s suggested twists! My son makes this for Christmas dinner. I will have to have him try it with your twist. Cheese and Rice sound like an Italian combo. I will try this on the holiday. LOOKS ABSOLUTELY EDIBLE TO ME BLESSED BE THIS HOLIDAY SEASON ??????????? Thank you for the recipe. I will pass on this one for I don’t care for risotto, but the other ingredients sound good to me. This looks so delicious, I would definitely be a hero making this. HI Carla, just found this recipe, do you think you could convert for IP?